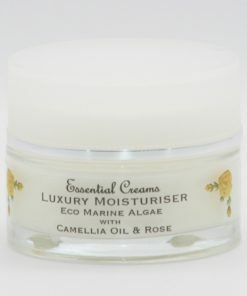 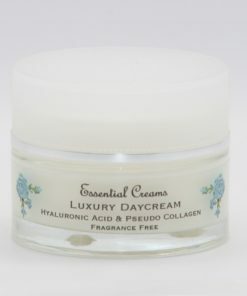 Luxury rich moisturiser full of sumptuous oils and butters, made with Eco Marine Algae helping to improve elasticity, hydrating and helping to repair the skin. 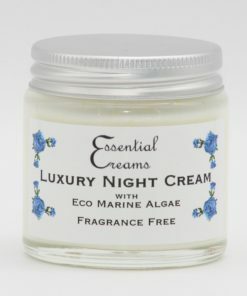 Marine Algae can help to lessen the appearance of fine lines and wrinkles, especially those around the eyes. 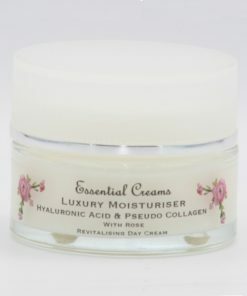 A lovely nutrient rich intensive moisturiser, with Marine Algae Extract a powerful anti-wrinkle ingredient which stimulates production of skin proteins. 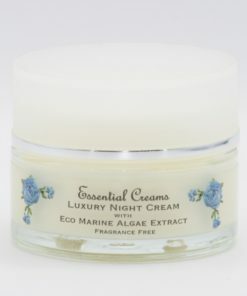 Marine Algae Extract helps to improve elasticity and hydration, and the appearance of fine lines and wrinkles, especially around the eyes. 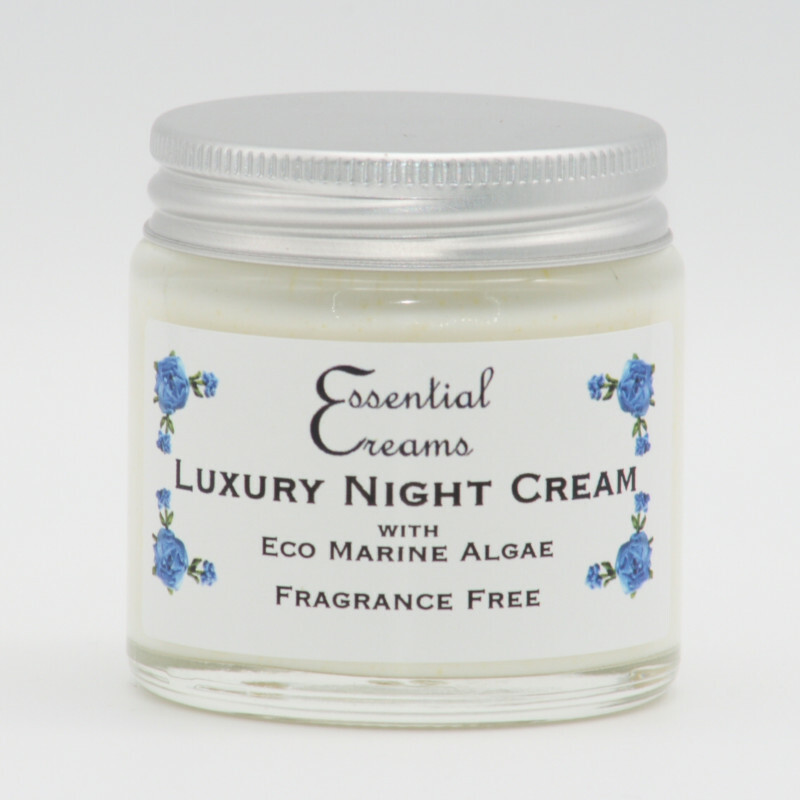 Marine Algae is rich in Omega 3 and Sterols, which have anti-inflammatory effect and help to repair the skin. 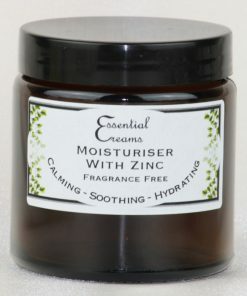 Safflower full of vitamins to soften and moisturise the skin. 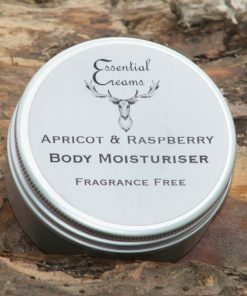 Raspberry Oil full of anti-oxidants. 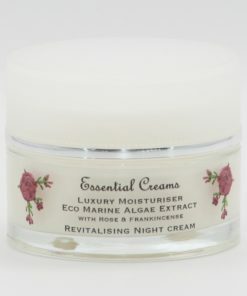 Rosehip a classic oil known through the ages for its hydrating and anti-ageing properties. 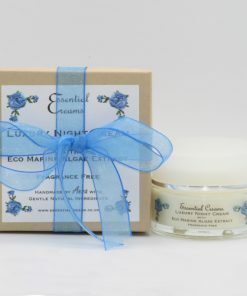 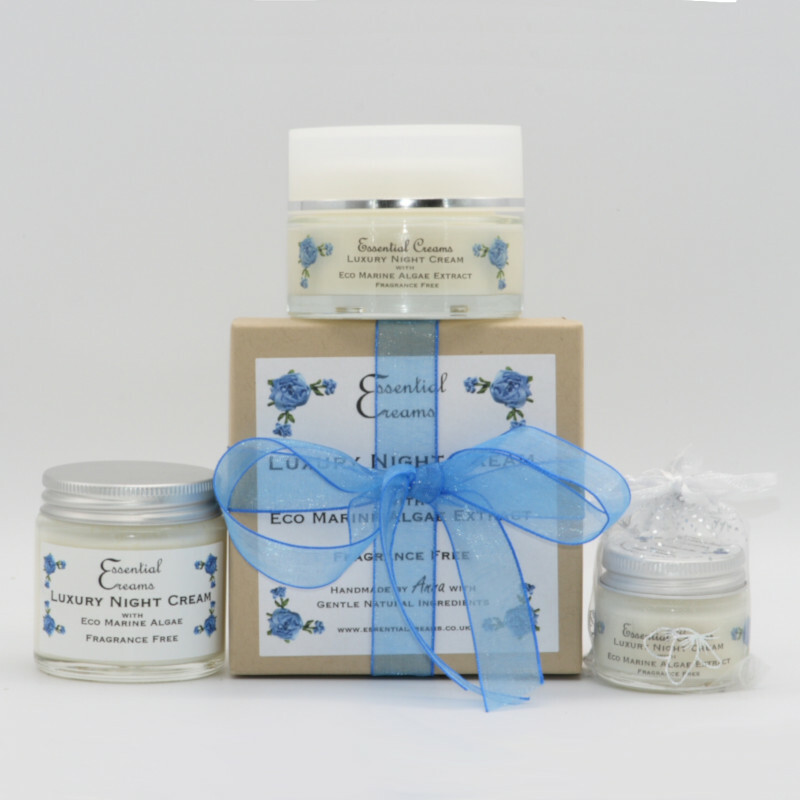 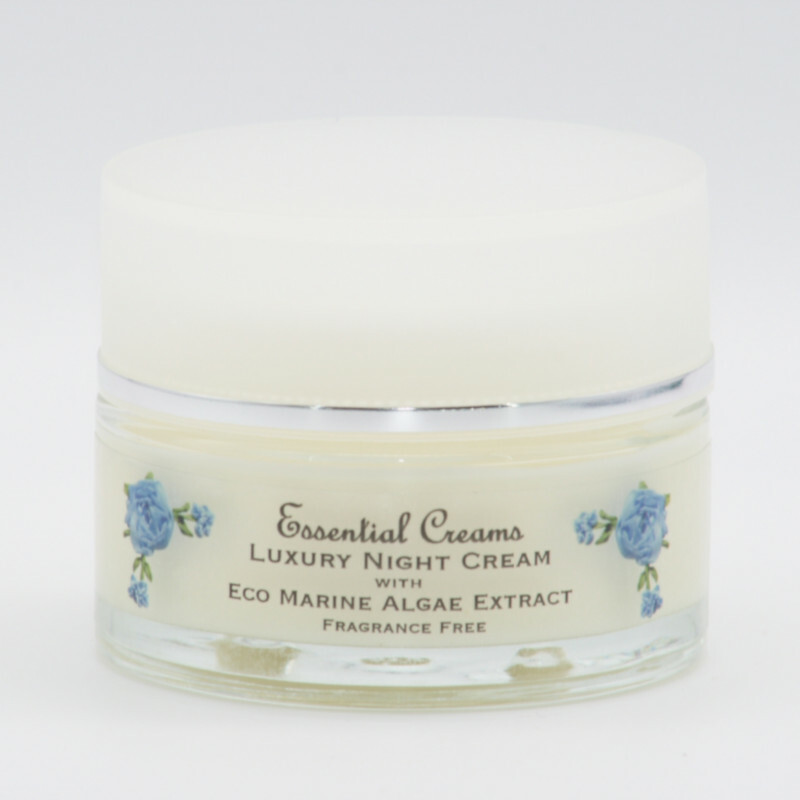 Vitamin E and Beeswax to help protect the skin from free radicals and moisture loss. 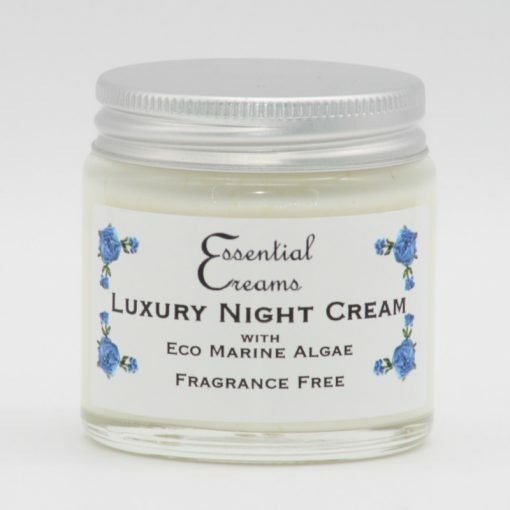 Aqua, Prunus Armeniaca, Persea Gratissima, Simmondsia Chinensis, Carthamus Tinctorious , Butyrospermum Parkii (Shea Butter), Sodium Stearoyl Lactylate (Emuslifier), Mangifera Indica Seed Butter, Glyceryl Stearate ( Emuslifier), Rubus Idaeus Seed Oil, Rosa Canina Fruit Oil, Oenothera Biennis Oil, Tocopherol, Glycerine (Glycerine derived from coconut), Cera Alba, Caprylic/Capric Triglyceride, Cylindrotheca Fusiformis Extract. 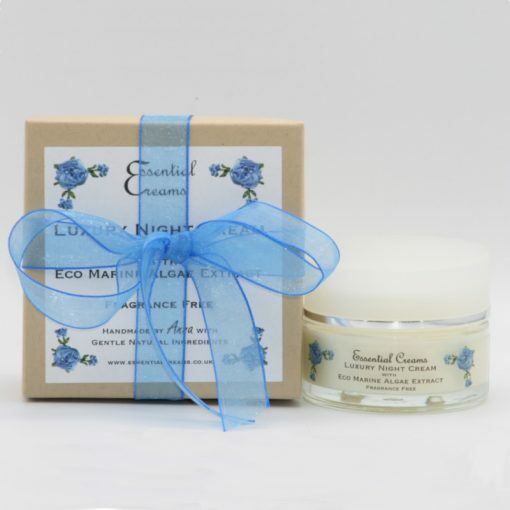 The luxury night cream and the luxury day moisturiser with collagen (yay) and rose are fabulous for my rather ageing skin. 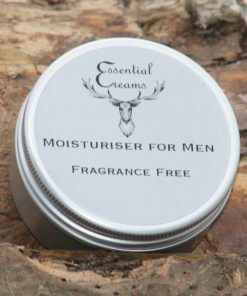 ( I’m 60) Totally seduced by the fragrance. 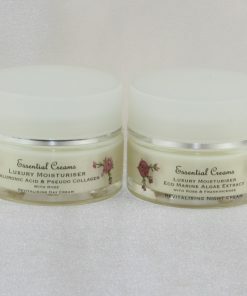 I will never buy any other skin product now. 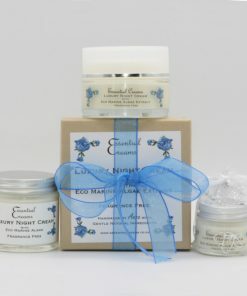 Anne also is quick to respond with any tricky skin problems. Her knowledge of her products is amazing.